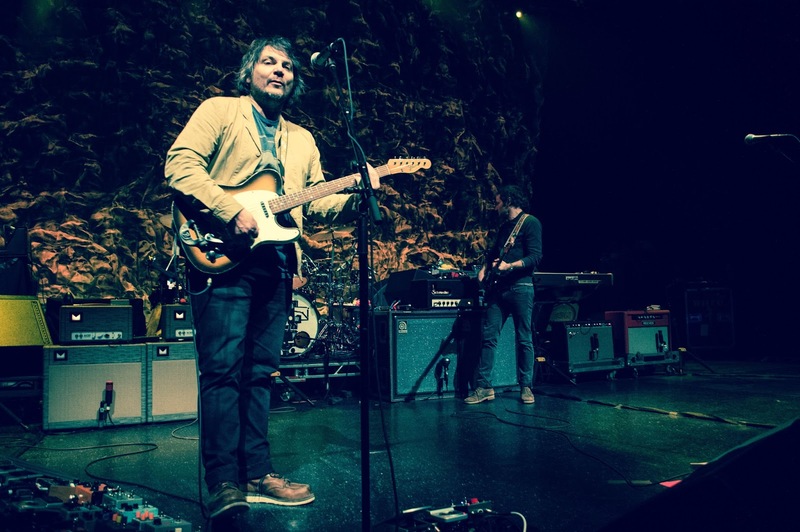 Our Best of 2014 continues with a look back at the interviews we conducted in 2014, from Wilco's Jeff Tweedy to Grouplove. Here are a few snippets, with links to the full interview. I think that we strive to be better and better as a band, and one of the ways we feel like we get better is when we push ourselves to work within light and dark shades, and be able to present a wider range of emotions than maybe your typical rock band. And work with dynamics doesn't seem to be a big part of a lot of modern music presentation. Not to say that there is anything wrong with it, but there does seem to be a lot of bands right now playing a steady stream of the same dynamic over and over again. And...I don't know, it's just not in our nature. It's much more in our nature to express some sort of joy or anger and then recoil from it, and try and soften it somehow. Maybe that's just the way I feel. I don't ever feel committed to one emotion for very long; I don't think many people do. (laughs) I don't think it's very realistic to try and pick and choose your emotions, for one. It's much healthier to react to them and feel lucky that you have them. Lily & Madeleine on "Sounds Like Somewhere"
To me this song is about remembering all the places and things that have shaped us as people and as writers and finally feeling ready to let go of any doubt and dive into the future. I personally sometimes have a hard time allowing myself to move on from things. This song is about realizing that it's okay to move on because the past has shaped us and prepared us for what's next. Lolla was great. It was crazy that we even got to play those big festivals last year. I went to school in Chicago in 2009, and in 2010 when Lollapalooza was going on, I snuck in one year really early on my way to class. To go to my school, we had a bunch of lanyards and badges and whatnot, so I just wore all black and made it look like I was part of someone's crew. Flashed a couple badges to security, and then walked right in, just roamin' around before the shows were going on. And then a couple years later here we were playing it. My producer managed to reel in Kris to put some backing vocals on "Penelope." When I wrote that song, I did imagine that it would be a song that he would sing, but I never thought that anyone would be a guest vocalist on it. But, I got very, very fortunate. It was very brief working with him. Howard Willing, my producer, was engineering a record for Kris at the time, with producer Don Was, who is ridiculously talented. It was of those situations where Howard asked Don first, and then asked Kris if it would be something he would be interested in singing on. So, he sat down and listened to the song a few times and said, "This is great. Who wrote this?" And Howard said, "Kate Cole did." It happened so quickly. It's still so exciting to talk about it, because I have an icon singing on one of my tracks. It's one of those bucket list things as a songwriter. A very lucky scenario. ZZ Ward on touring and "Last Love Song"
Just last night, I asked who had been here the last time I played here, and the amount of hands was not that many compared to when I was here last time -- there were a lot of new fans out there. I think that's a great sign of being a new artist. We have been working on 'Til The Casket Drops for a long time, but when you're a new artist, it takes a while -- some people are just now finding out about you, and some have known you for a while. So, we're on our third single now, "Last Love Song," and it's the most vulnerable, intimate song that I have, and I think the other songs were a good introduction to me (as well). I have spoken to Patti about art and writing in particular. She is very inspiring. Her kindness was the first thing about her that I noticed. Her warmth. Her constant smiling. Her book Just Kids is very moving to me. I love the idea of a love that inspires creativity. We are all huge Neil Young fans. You could even say I am borderline obsessed with him. So getting to meet him at SXSW was a dream come true. He was really friendly and actually kind of silly and quirky. He let us listen to some songs on the Pono and I have to say it sounded amazing. The sound quality was definitely richer to my ears. That being said... I'm not sure if I'd rush out and buy one. But, then again, it is Neil's pet project and I have everything he has ever done so I'll probably end up getting one. Stay up late and be alone!! Seriously though, quite a lot of this was written late into the night, I found you really had to get into the dark The Divide world, so I would quite often put my headphones on and just play with ideas with the lights dim and without email / phone distractions that you often get in the daytime. Sometimes its good to structure yourself with a work schedule but with this project, if I had an idea, day or night, I would start to work on it and with technology today I can start an idea up anywhere as long as I have my laptop! Well, the Duo Jets had broken up and Sara was free, and I asked her – we had a series of dates on the Outer Banks and I asked Sara if she would play with me. And we began touring and making records pretty quick. We got our manager, who was a childhood friend, who was in Venice, FL – he lives in Largo, FL now – Brett [Seal]. Me and Sara were in Austin, he asked to manage us. He got us a record deal with Bloodshot Records.